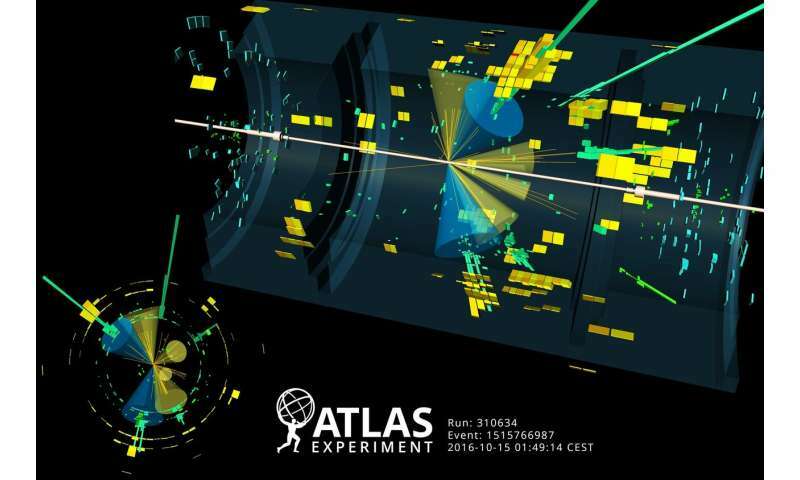 In 2018, the ATLAS and CMS Collaborations at CERN announced the observation of the production of the Higgs boson in association with a top-quark pair, known as "ttH" production. This result was the first observation of the Higgs boson coupling to quarks. It was followed shortly by the observation of Higgs boson decays to bottom quarks. As only about 1 percent of the Higgs bosons are produced in association with a top-quark pair at the Large Hadron Collider (LHC), achieving this observation was especially challenging. It was accomplished by searching across many different Higgs boson decay channels, including decays to two W or Z bosons (WW* or ZZ*), a pair of tau leptons, a pair of b-quarks, and a pair of photons ("diphoton"). Their combination established ttH production with a significance of 6.3 standard deviations. 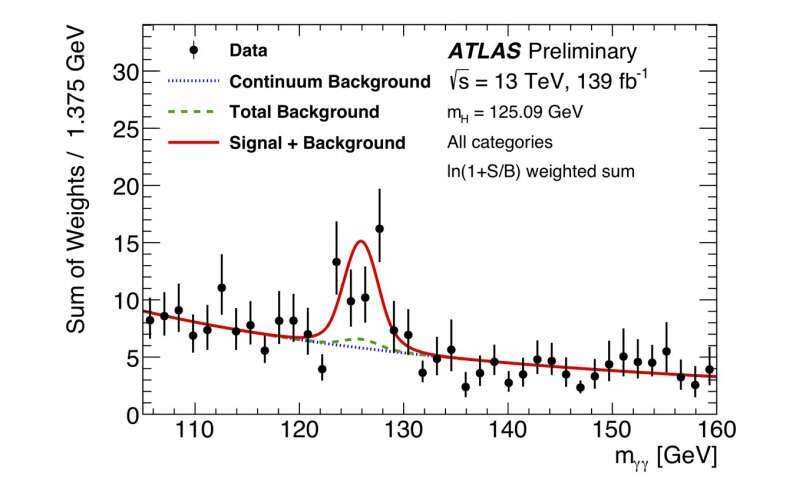 The diphoton channel alone, using 80 fb-1 of data recorded by ATLAS between 2015 and 2017, provided an observed significance of 4.1 standard deviations (for 3.7 standard deviations expected when assuming ttH production to occur as predicted by the Standard Model). The ATLAS Collaboration presented an updated measurement of ttH production in the diphoton channel. The result examines the full Run 2 dataset – 139 fb-1 collected between 2015 and 2018 – to observe ttH production in a single channel with a significance of 4.9 standard deviations (for 4.2 expected).